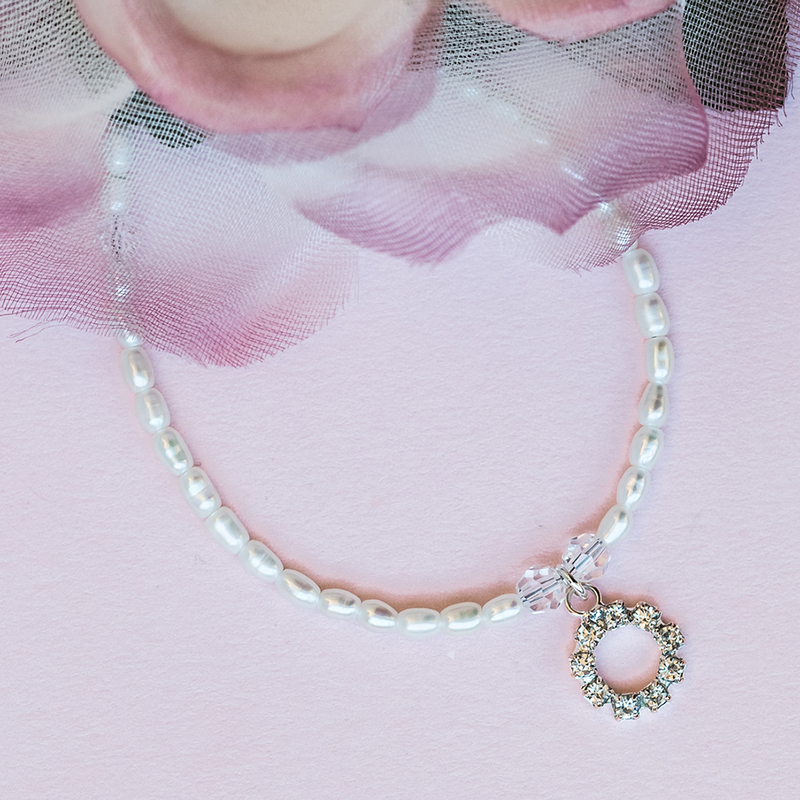 A lovely addition to strapless wedding dress styles, the Stella Seed Pearl Halo Charm BridalBracelet combines modern design features with vintage appeal. 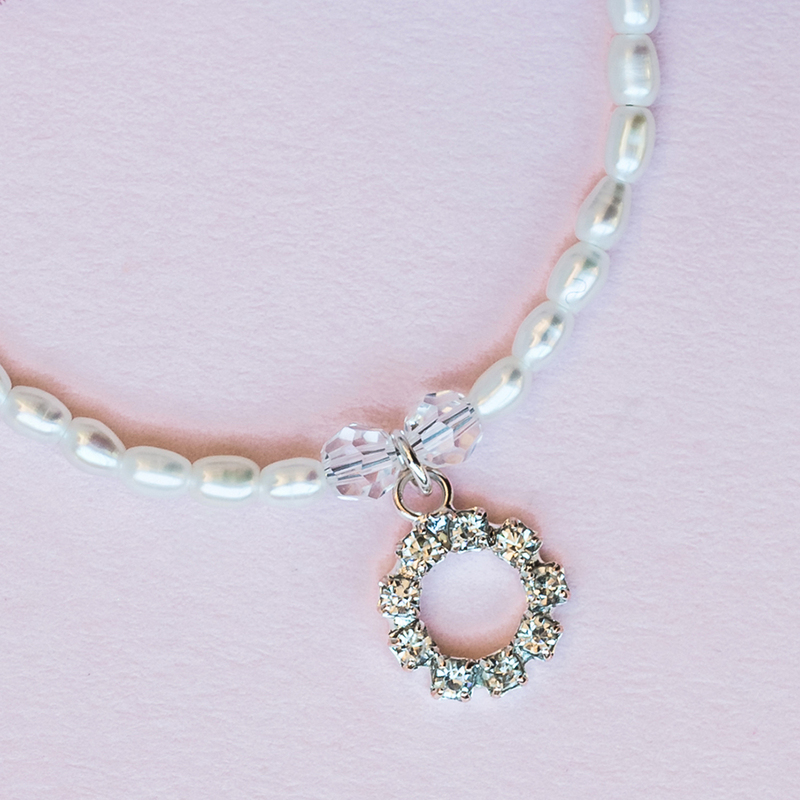 Featuring a single row of pure white seed pearls, complemented with a sterling silver extender chain and clasp, it can be adjusted to suit all sizes, and dressed up or down with other pieces in our Stella Bridal Jewellery Collection. 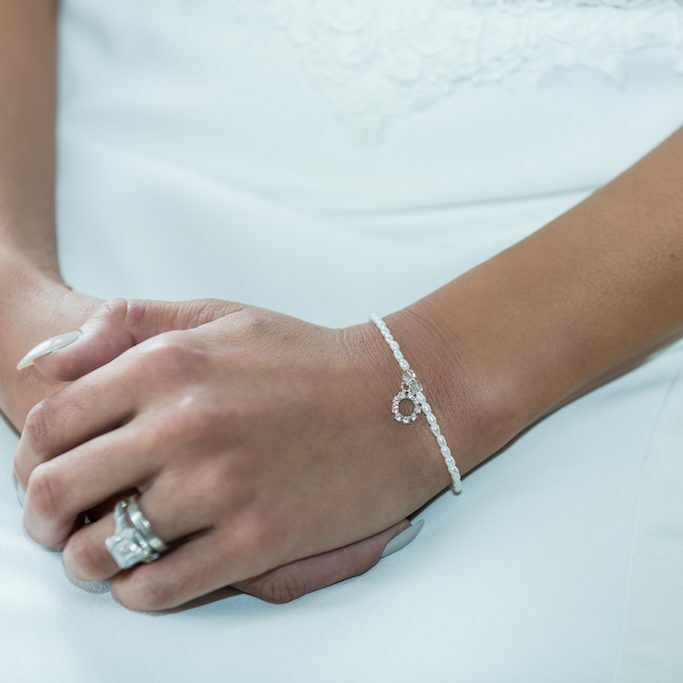 For just a hint of our signature sparkle, the Stella Pearl Wedding Bracelet features a sterling silver halo charm, which has been skilfully embellished with premium diamante that offer the same level of radiance as genuine diamonds. 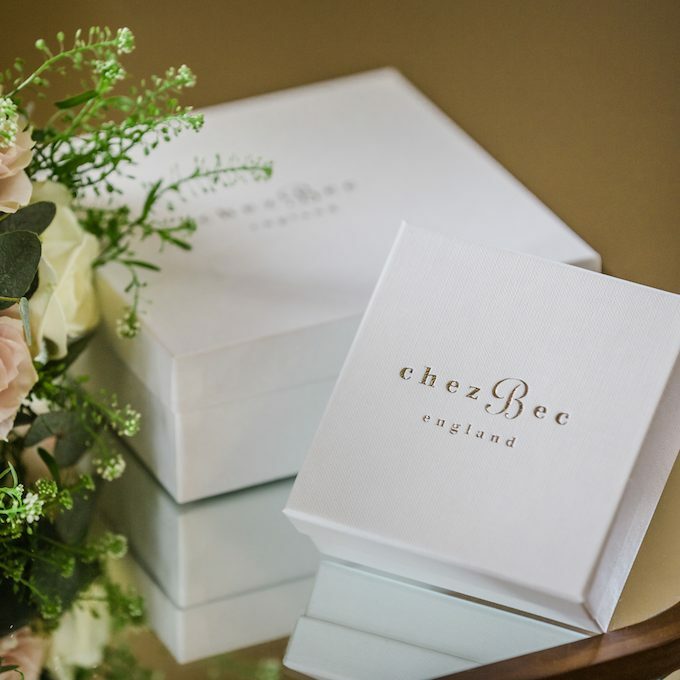 A stunning gift for bridesmaids and flower girls, it will serve as a timeless reminder of your big day. 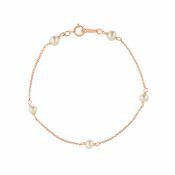 Be the first to review “Stella seed pearl and halo charm bridal bracelet” Click here to cancel reply.